Well, what do you think of this little beauty? 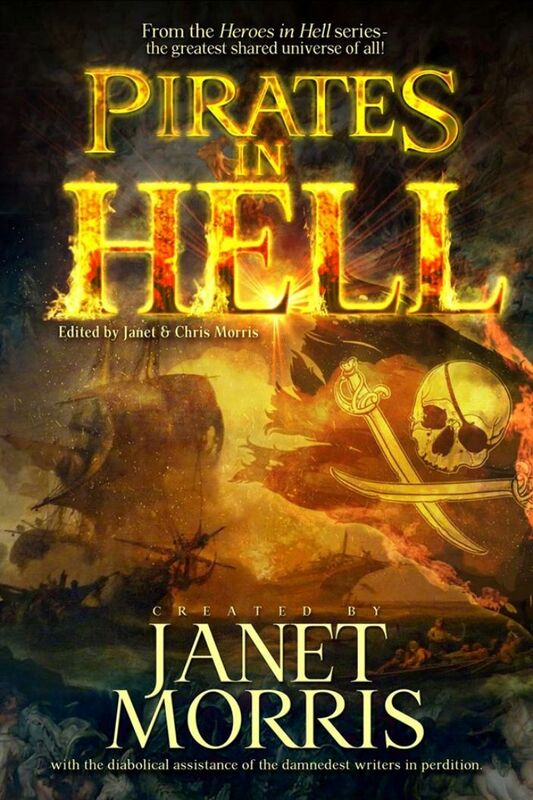 Your very own sneak peek of the preliminary cover for the next installment from the Heroes in Hell shared universe of Janet Morris. To be sure, this treasure trove of an anthology will be jam packed full of booty that'll get your heart pumping, and your gangplanks a quivering. And while you won't need a map, you'll still have to wait until this Fall to get your hands on it, so stay tuned for more details...they'll be coming thick and fast. I am a Royal Marine and Police veteran from the UK who now lives on the beautiful Greek island of Kos with my wife, Annette, and our growing family of rescue cats. As creator of the critically acclaimed IX Series, and Hell Bound & Hell Hounds, (novels forming part of Janet Morris' Heroes in Hell universe), I also have the privilege of being a member of the Science Fiction and Fantasy Writers of America, the British Fantasy Society, and the International Association of Media Tie-in Writers. When not working, I devote some of my spare time to assisting NASA with one of their remote research projects, and supporting charities. I also write educational articles for Astronaut.com and Amazing Stories. On weekends, you might also find me drinking Earl Grey Tea whilst dressed as Captain Jean Luc Picard. Make it so... If you would like to find out more, just follow the links at the top of the page. Welcome to the Reaper's home blogpage where you'll find out more about Daemon Grim and his adventures, and of course, the other fascinating things taking place within the Heroes in Hell Universe. Hell's Reaper and Satan's go-to guy at times of trouble.